Auslan Interpreted, and Fully Accessible Venue. To mark World Mental Health Day, Prof Peter Kinderman, the outgoing President of the British Psychological Society, comes to Australia to deliver a special Big Anxiety lecture in association with the Ethics Centre [BOOKED OUT]. SECOND EVENT ANNOUNCED 19 Oct at Gleebooks! OUR TURBULENT MINDS: a discussion with Peter Kinderman and guests at Gleebooks. The session at Gleebooks will further develop ideas presented at the Ethics Centre presented on World Mental Health Day. It will involve a short presentation, panel discussion and extended audience Q&A. This venue is NOT Wheelchair Accessible. Prof Kinderman challenges the prevailing idea that mental illnesses are simply biological and should be treated like any other medical disease. This, he says, is a denial of the very real social causes of mental health problems, which are not a matter of what is wrong with us but what has happened to us. Join Professor Kinderman as he argues that we should stop thinking about ‘abnormality’, ‘disorder’ and ‘illness’, and instead offer humane and effective responses to what are understandable and normal psychological reactions. 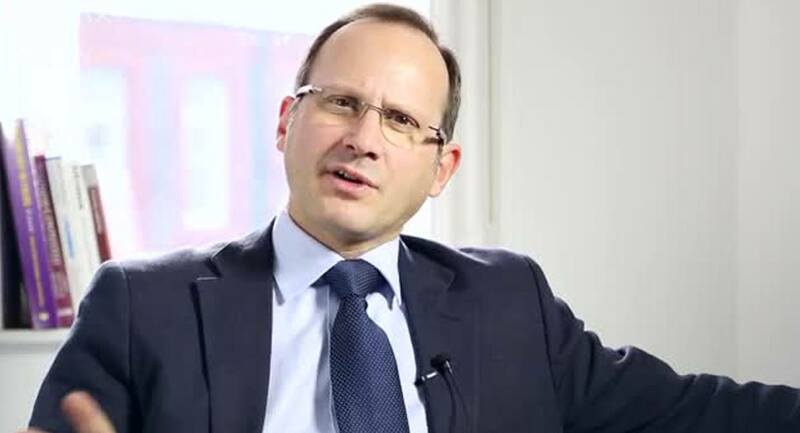 A discussion with Peter Kinderman will be hosted by Dr Simon Longstaff. Further guest speakers include: Niels Buss, Professor of Mental Health Nursing, The University of Sydney, St Vincent’s Hospital, and Julie Robotham, Director Strategic Operations and Communications, Mental Health Commission of NSW. Professor Peter Kinderman is Professor of Clinical Psychology at the University of Liverpool, UK. He was until 2017, President of the British Psychological Society and is an honorary Consultant Clinical Psychologist with Mersey Care NHS Trust. The author of numerous peer-reviewed research papers, Peter’s his latest book is, A Prescription for Psychiatry: Why We Need a Whole New Approach to Mental Health and Wellbeing. Peter also leads a MOOC (Massive Open Online Course) entitled ‘Beyond Nature and Nurture’, aimed at learners interested in learning how psychologists understand emotions, behaviours, and thinking patterns, and how this helps clinical psychologists make sense of their clients’ problems. As a result of his research activity and roles in professional bodies Peter has had many media appearances. Most notably Peter hosted a two-episode BBC TV Horizon piece exploring the validity of psychiatric diagnosis. More recently Peter was a consultant to the BBC programme ‘Mind over Marathon’, where 10 people with a history of mental health problems undertook to run the London Marathon in conjunction with the Heads Together Campaign and supported by Princes William and Harry. Peter was also a consultant to the ground-breaking BBC ‘Headroom’ campaign; one of the first coordinated media campaigns on mental health.